Recently announced in Myphone Facebook page, Myphone A888g Duo the successor of Myphone A888 Duo and by means of succession, of course it has some new specs and features as well. But as much as we expect new things in A888g this almost left us empty handed surprise. While the specs are almost the same as the previous Myphone Duo, there are still some few downgrades like the camera and picture quality, from 8MP camera to 5MP camera and from 4.5qHD to 4.5inch FWVGA. 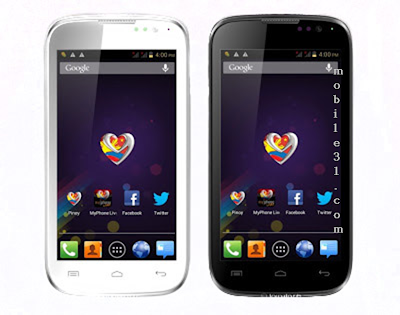 But don't let this discourage you as the price will be cheaper than the previous Myphone A888 Duo, and speaking of price Myphone A888g Duo is only Php5,790 at Tomato Online Store. Myphone A888g Duo again is priced at Php5,790 SRP and available at Tomato Online Store and probably nationwide soon. If you happen to acquire this smartphone, be sure to share your experience and problems here and we will do our best to answer what we know when time allows, best regards everyone!